Girl power complete with boots and a lasso of truth. Cape provides a fun touch and more modesty. 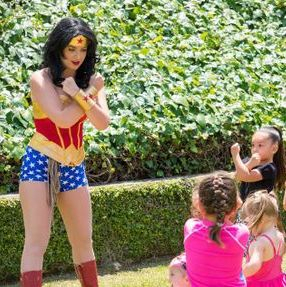 Wonder Woman loves to lead children through inspirational activities. Prices starting at $150. Click here to learn more about our package prices. She was perfect from head to toes, had an answer to all the question the curious kids asked and she was very professional. 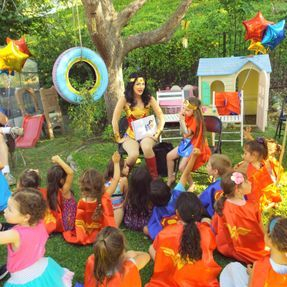 Thanks so much Princess & Me Parties for making our birthday so WONDER - FUL"
"Wonder Woman was AMAZING and my daughter had the best time! I will definitely be recommending them to everyone I know. She was outside with the kids for an hour and a half in 90 degree heat and was professional and wonderful the whole time. Everything, from the first contact I had with them, to the party was perfect and I will only use this company from now on. Thank you again for making my daughter's birthday party the best ever!" "Ali, who runs princess & me, was a breeze to work with and very responsive. We even had a switch of location from LA to Orange County and she accommodated no problem. Just added a driving fee which was understandable in my opinion, you would too if you made the drive. 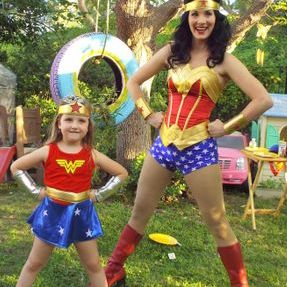 We hired Wonder Woman for my daughters 1st birthday and she was incredible. Looked just like her and not to mention was great with the kids. Very professional and was right on time from beginning to end. Took pictures with the kids and anyone who asked. I would definitely hire her or any character from this company. We had a great experience." 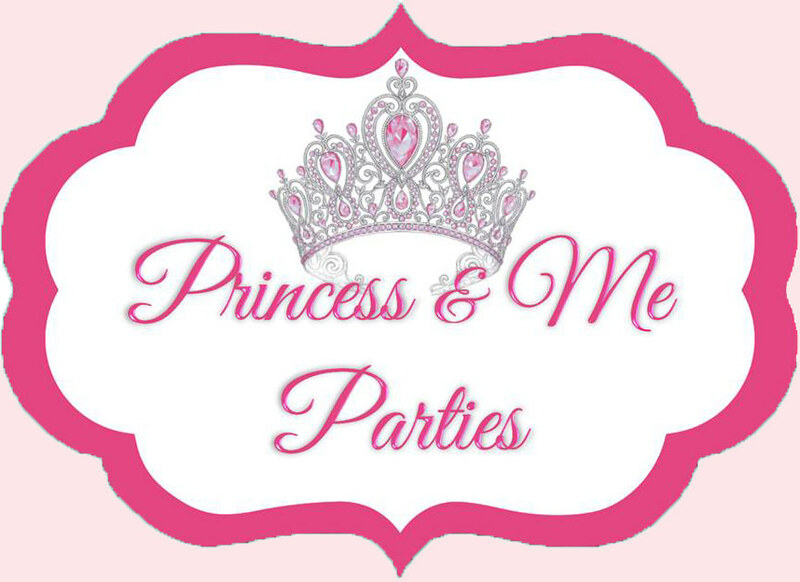 "Second time booking through Princess and Me and I am still so impressed! Wonder Woman was amazing and stayed in character the whole time. My daughter was so happy and all the kids had so much fun!" 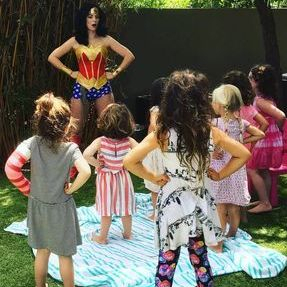 "We had Wonder Woman come to my 5 yo's birthday party and she did a great job of captivating the kids and keeping them happy and entertained throughout her time with us. She was professional and had a bunch of fun activities to move through with the kids. Highly recommend." "I absolutely love Princess and Me !! I was able to book them for the second year in a row, last year it was their Rapunzel and this year Wonder Woman and both were a total success!! They are all super professional, always try to make everything as hassle free for you as possible. Always arrive on time. The entertainment is outstanding and the little ones love it ! My daughter is still talking about how amazing wonder woman was 4 days after her party. Thank you so much to Princess and Me for making my little babes birthday a super memorable one. Definitely recommend !!" "We loved having Wonder Woman. My daughter and her friends still talking about it. Thank you for everything. My daughter smile is always my accomplishment"